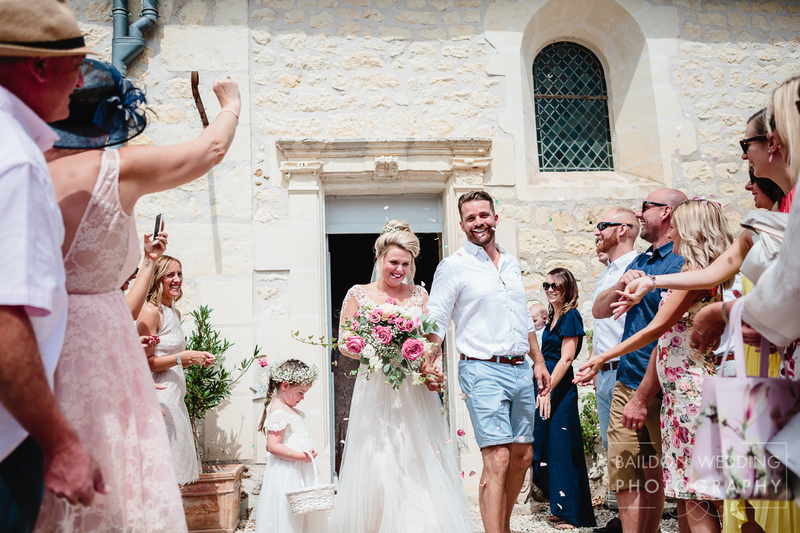 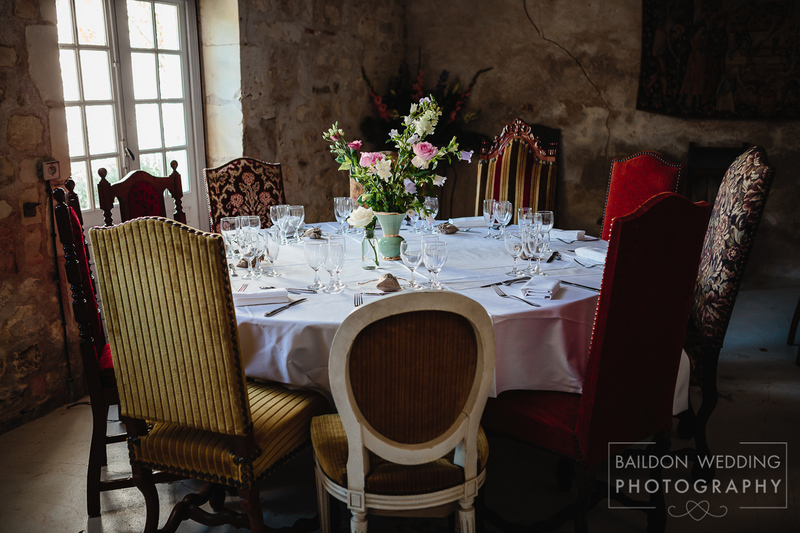 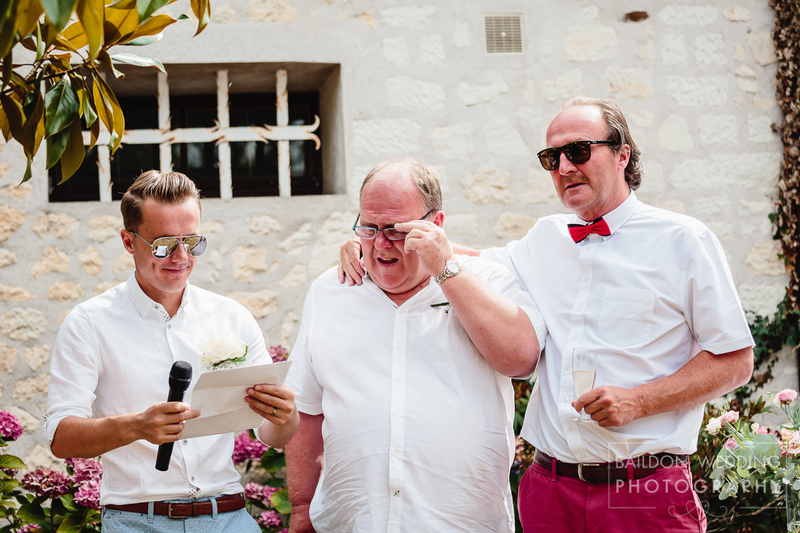 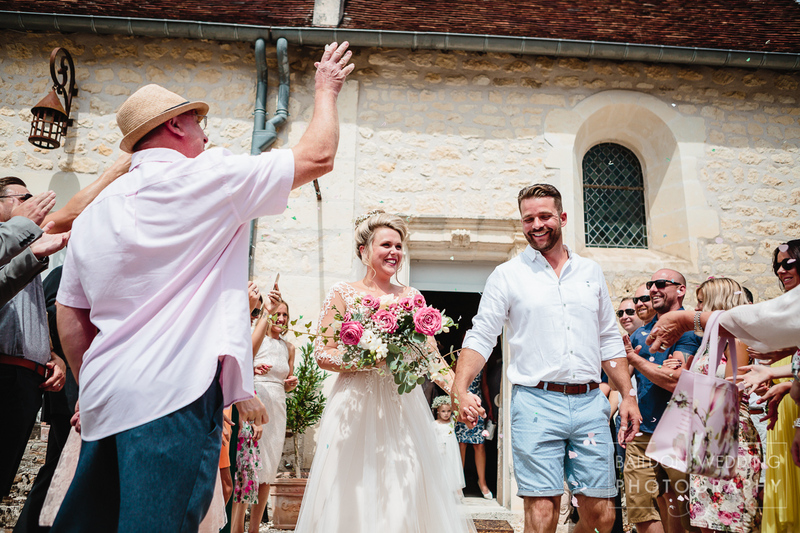 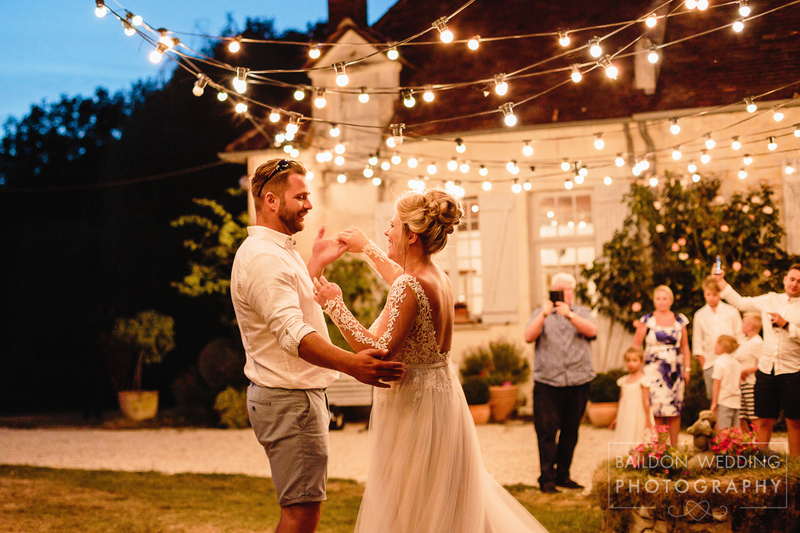 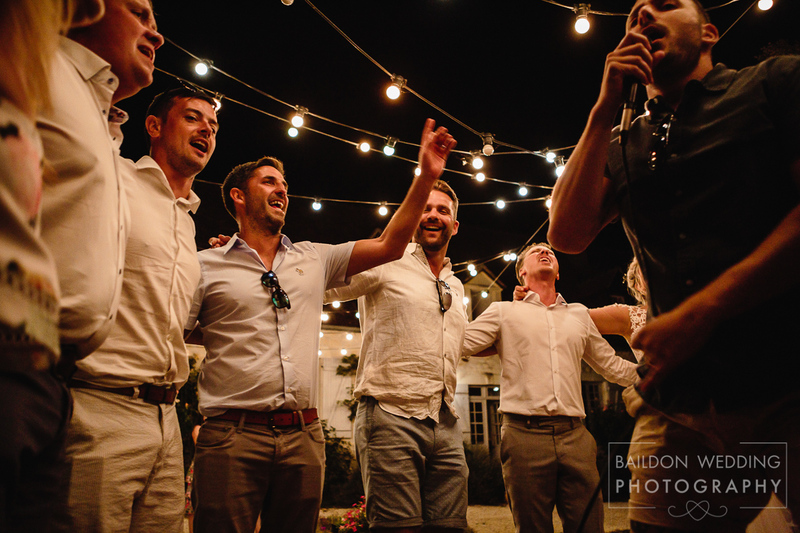 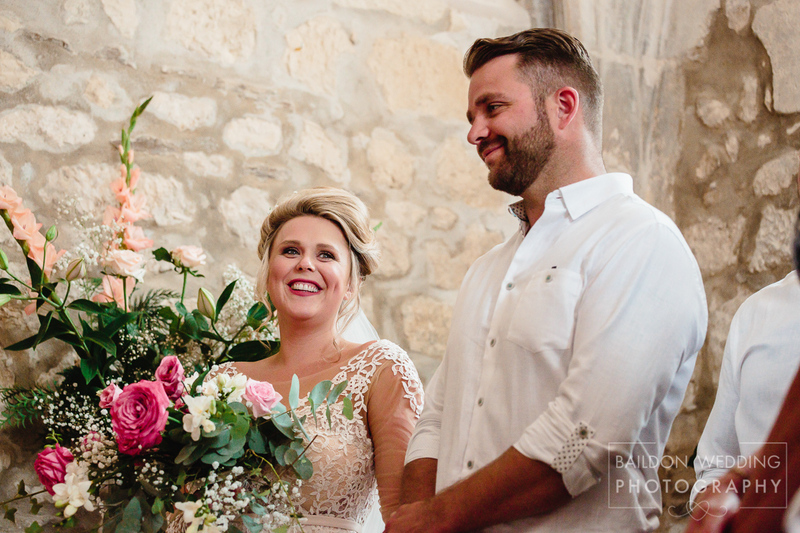 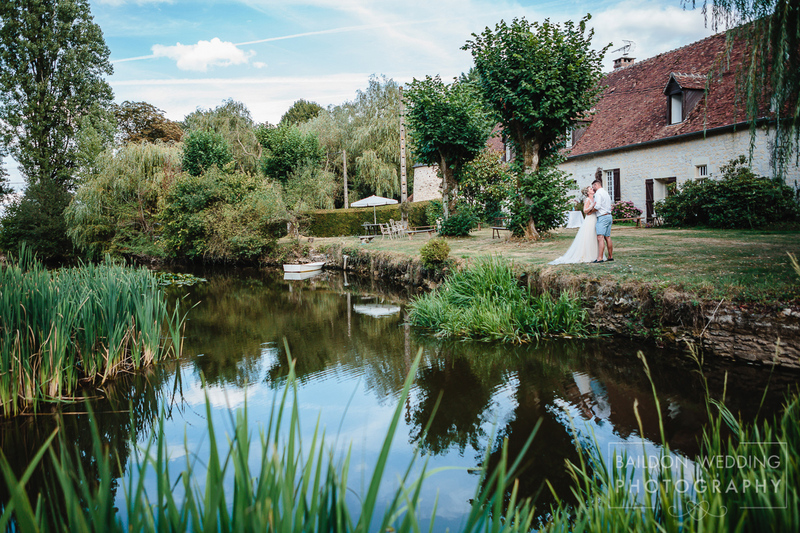 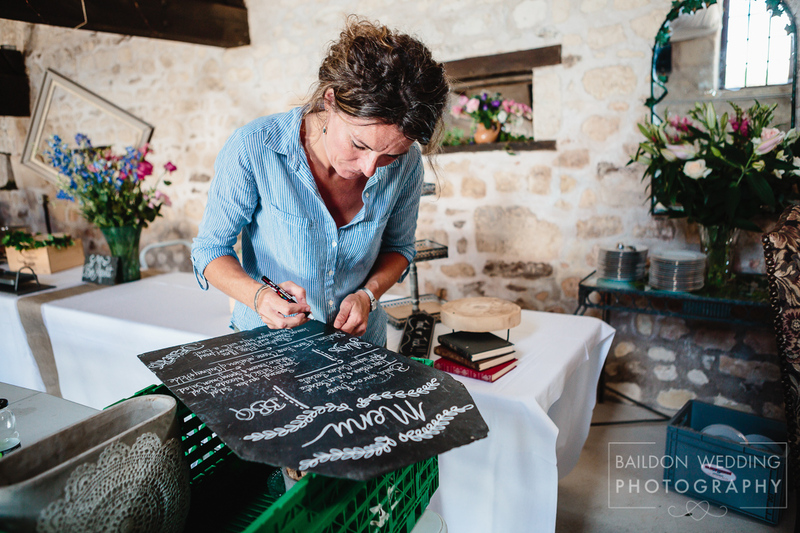 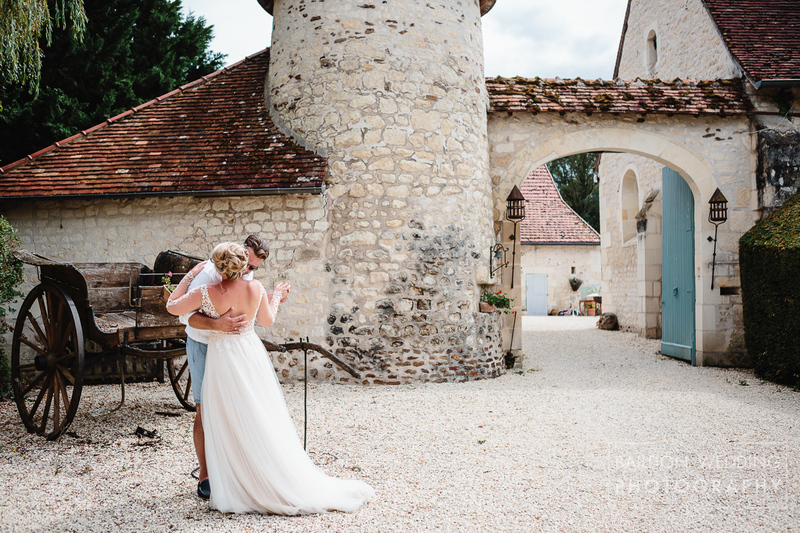 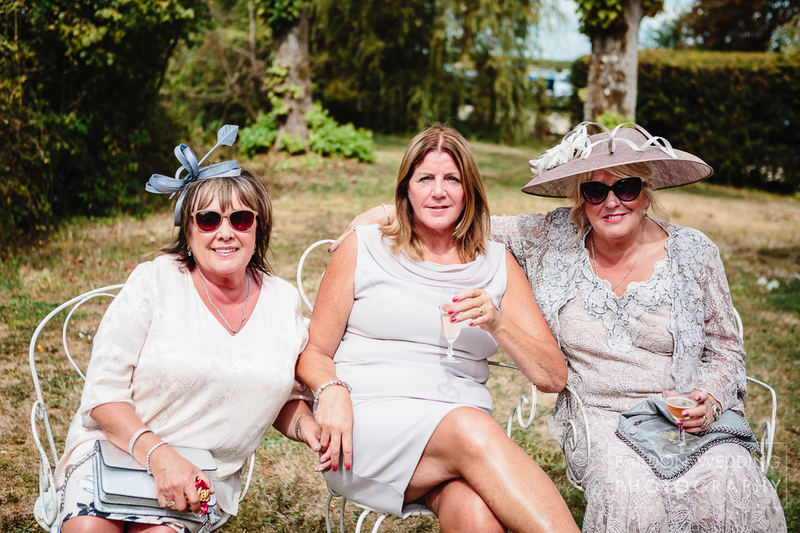 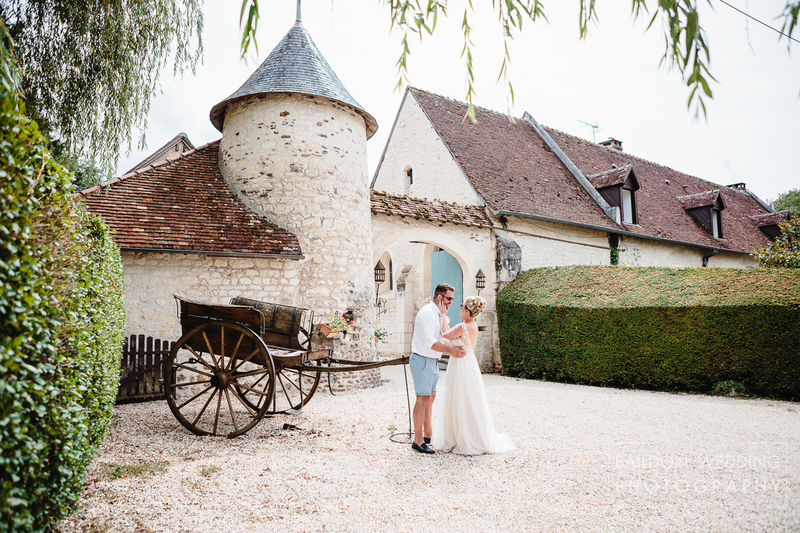 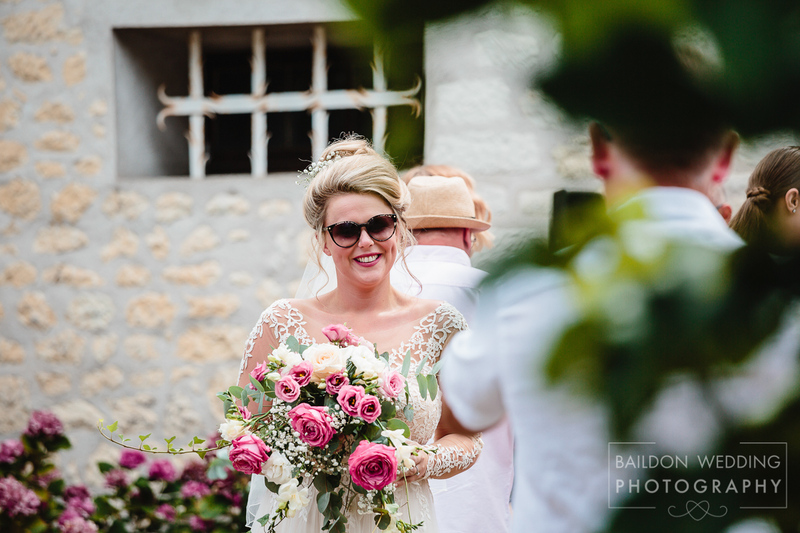 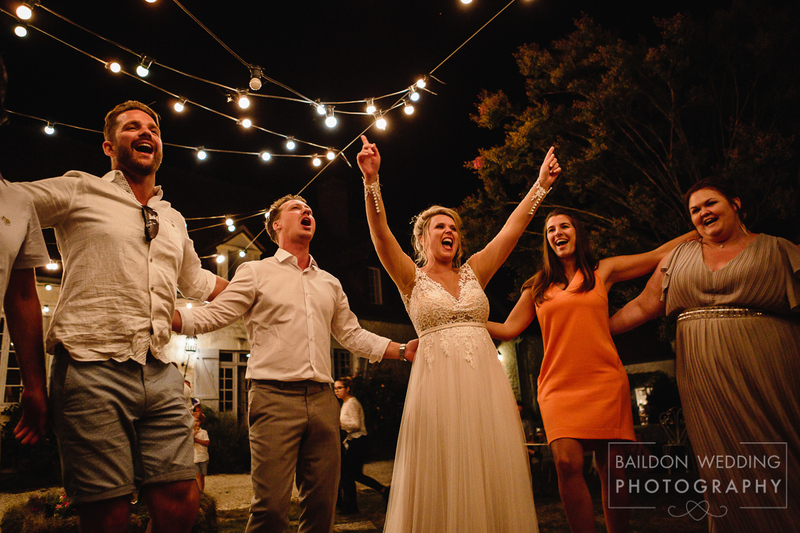 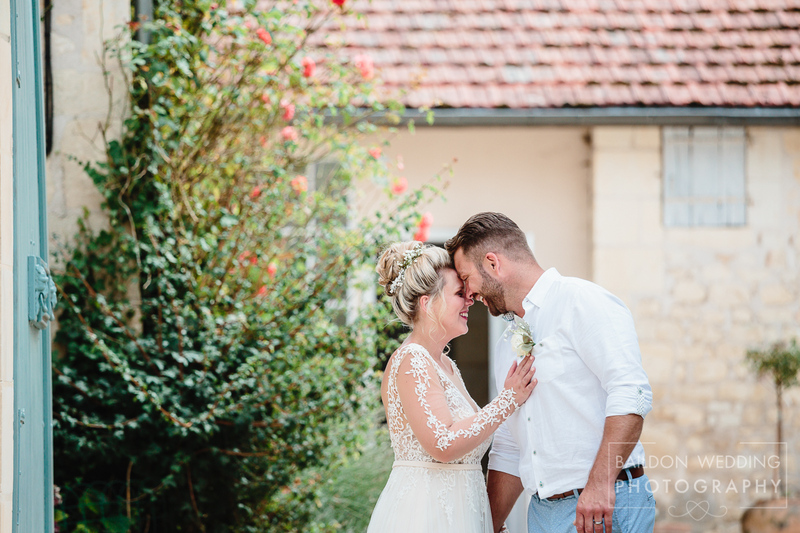 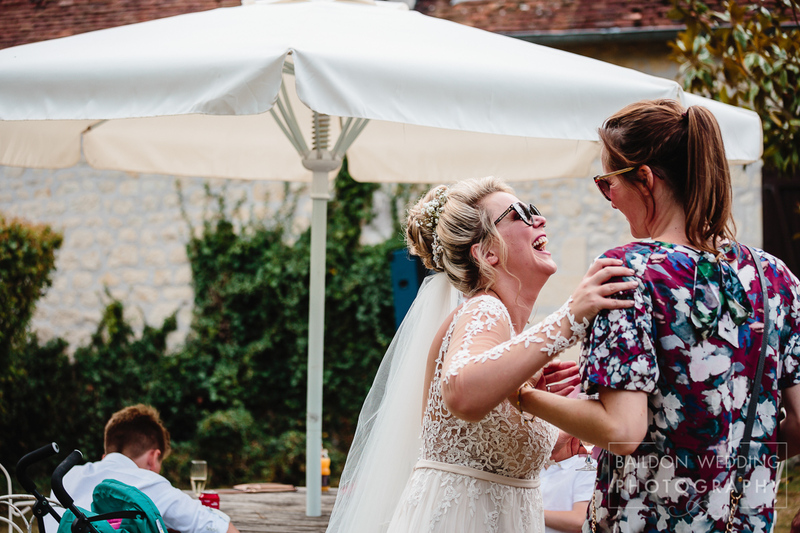 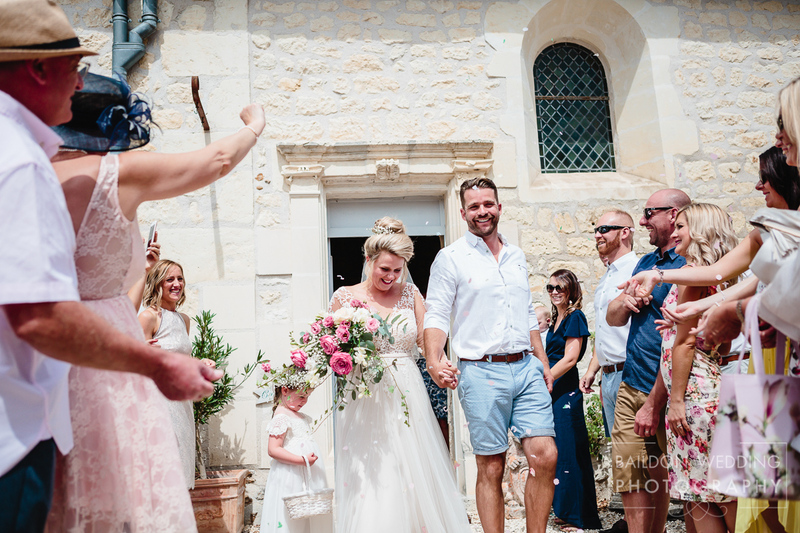 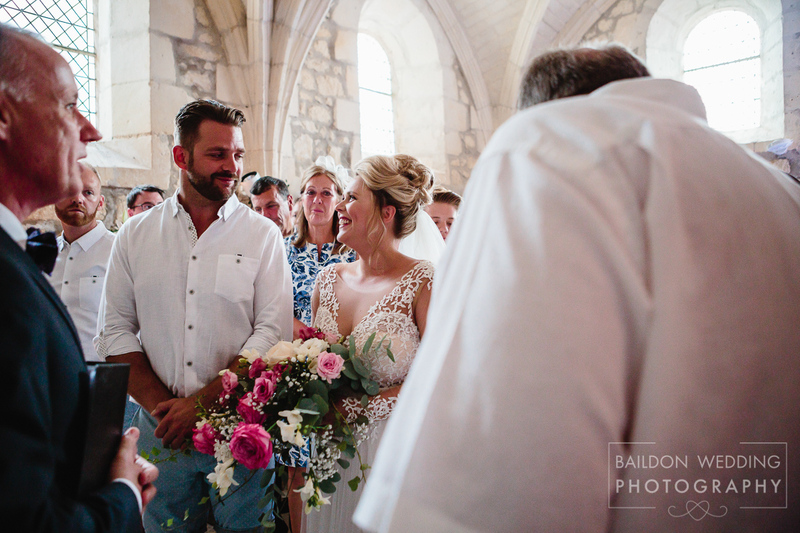 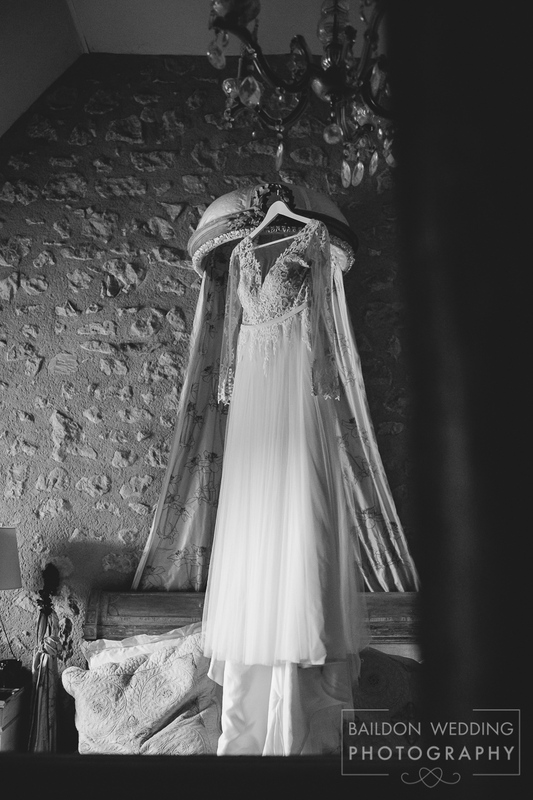 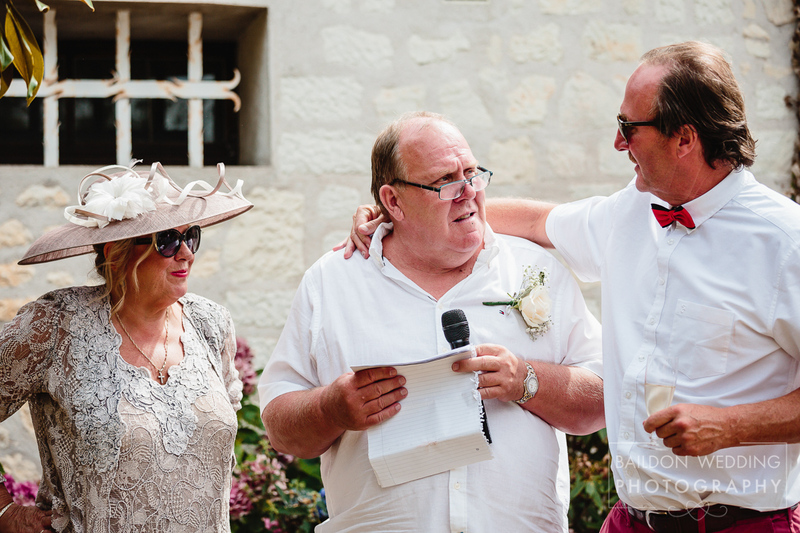 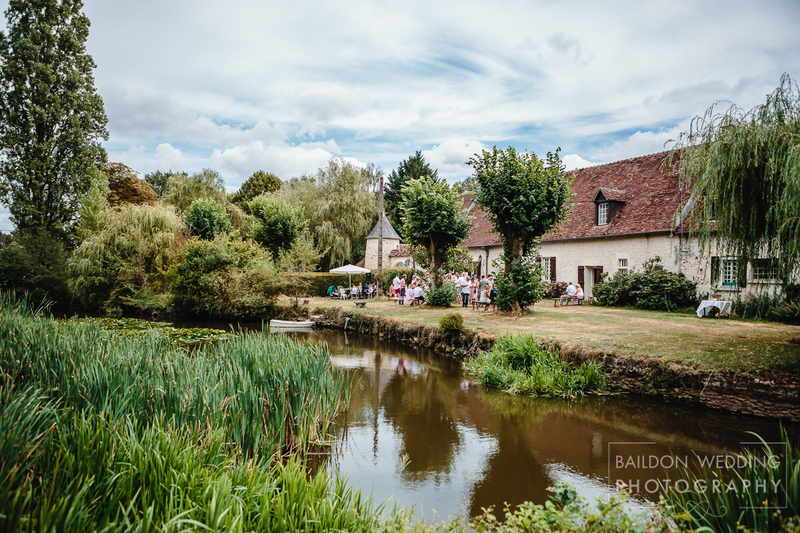 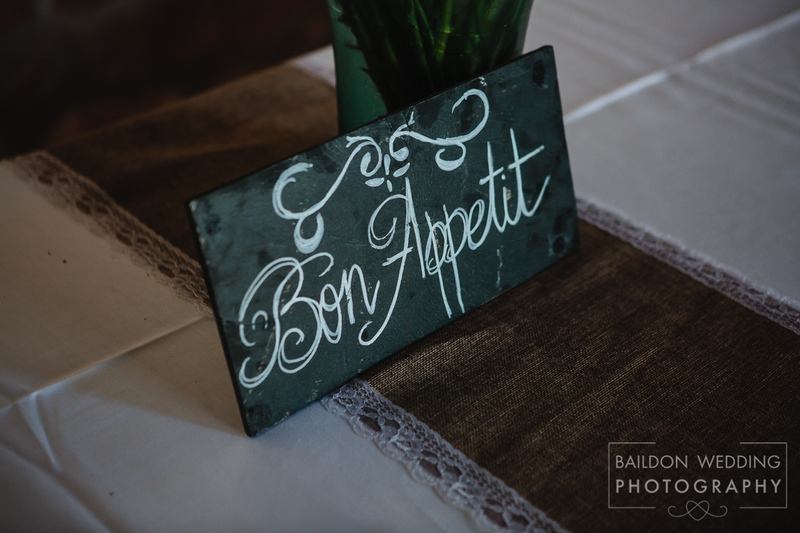 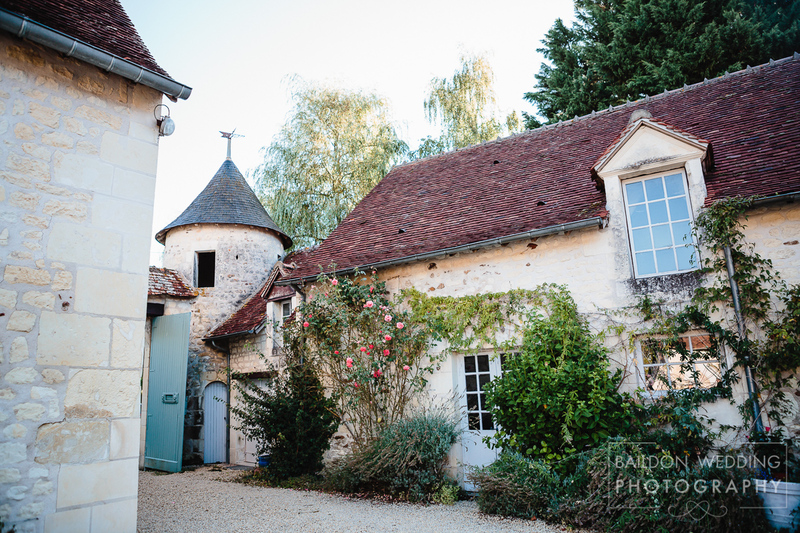 I was thrilled to be asked to photograph Marc and Fran’s Manoir de la Foulquetiere wedding in France. 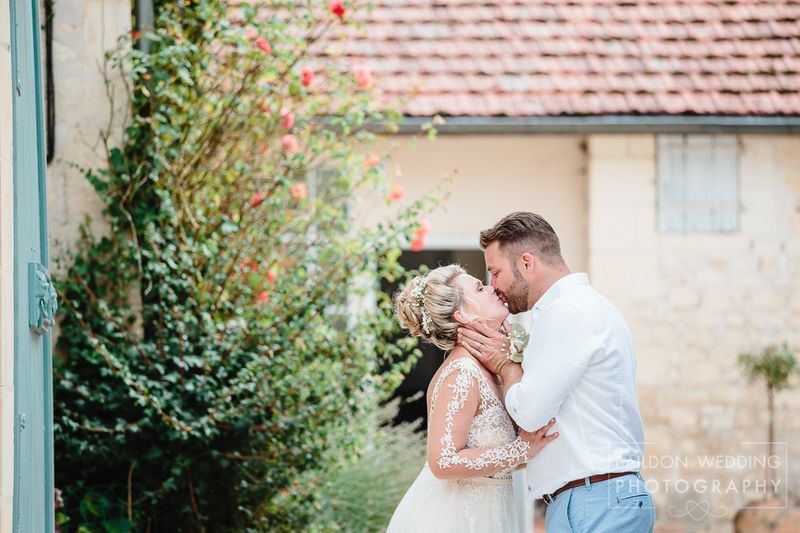 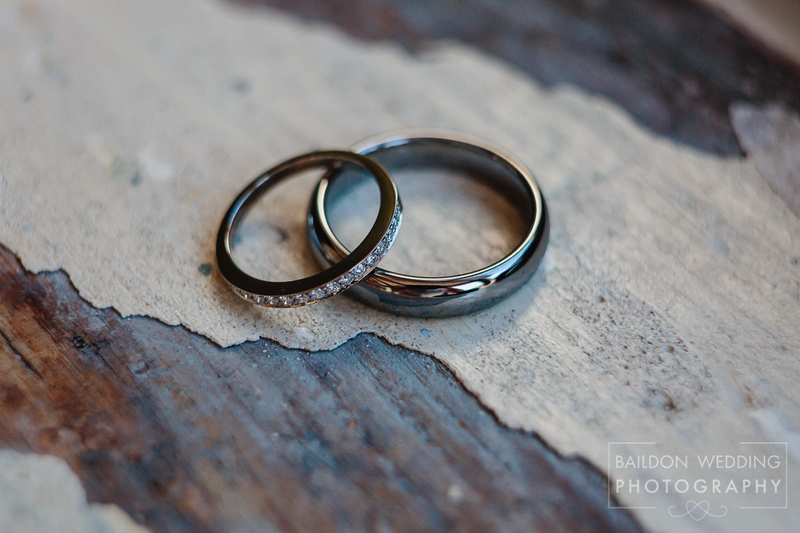 My first job as a destination wedding photographer. 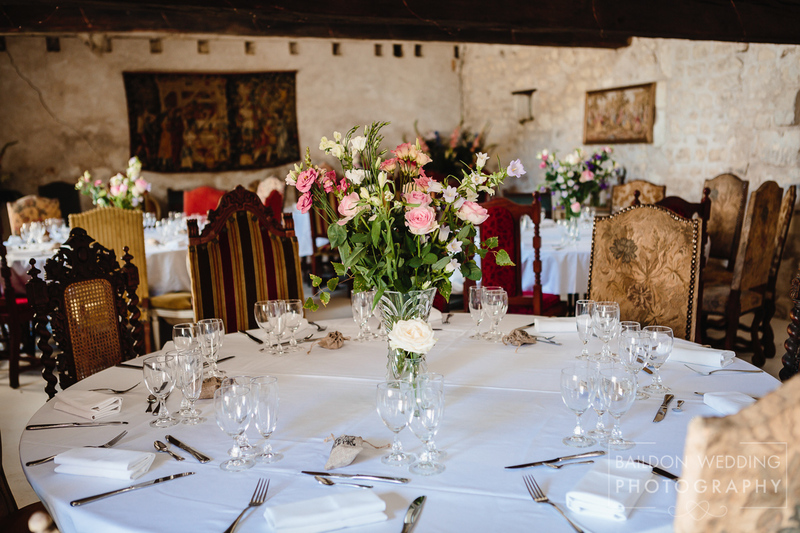 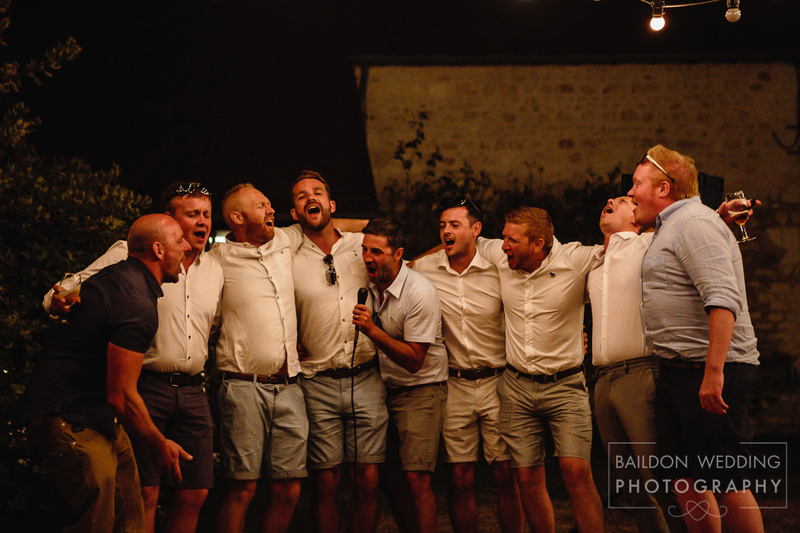 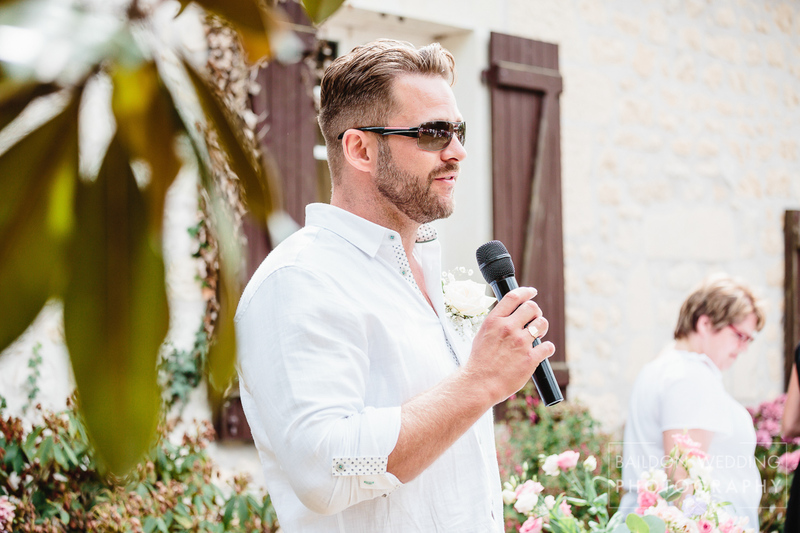 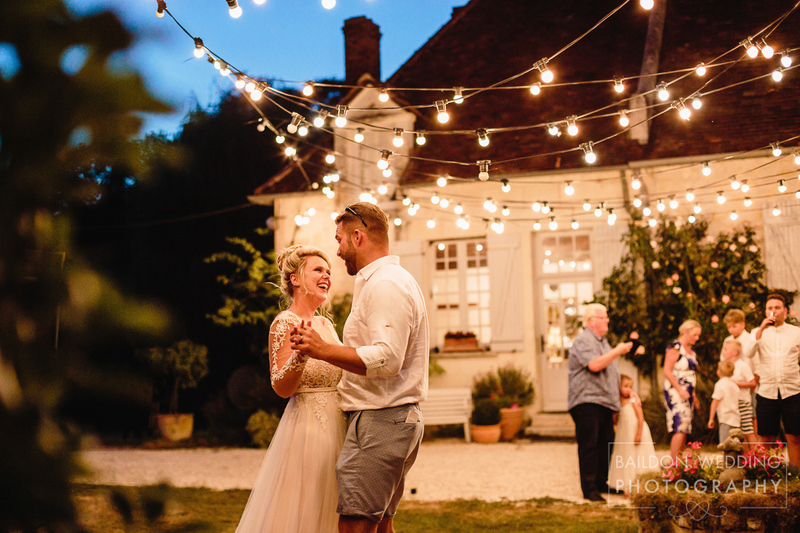 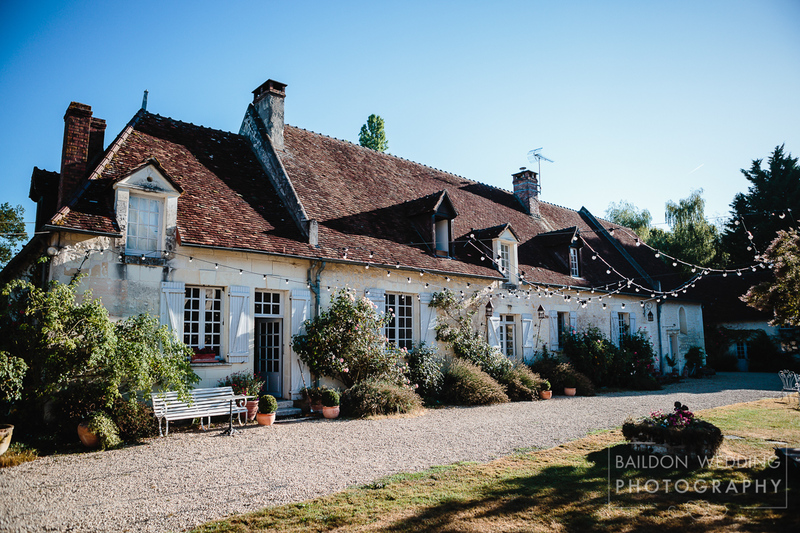 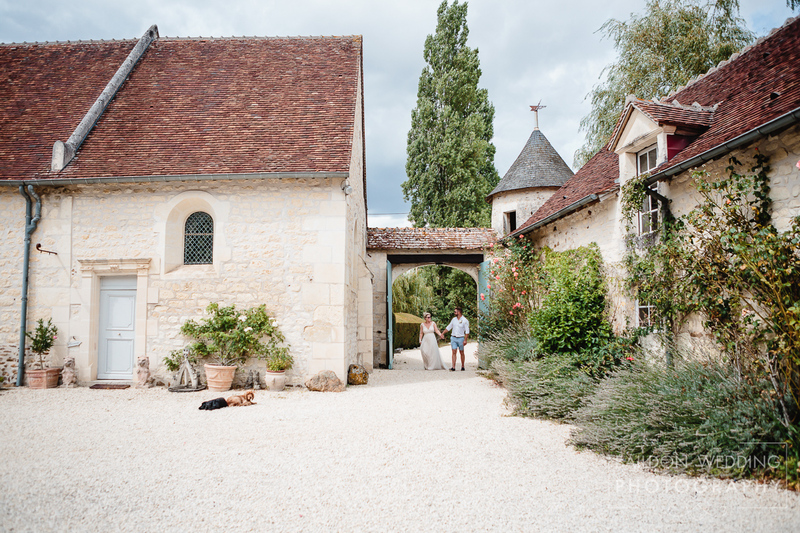 The venue was the Manoir de la Foulquetière in the small village of Lucay de Male in the beautiful, rural Loire Valley area of France. 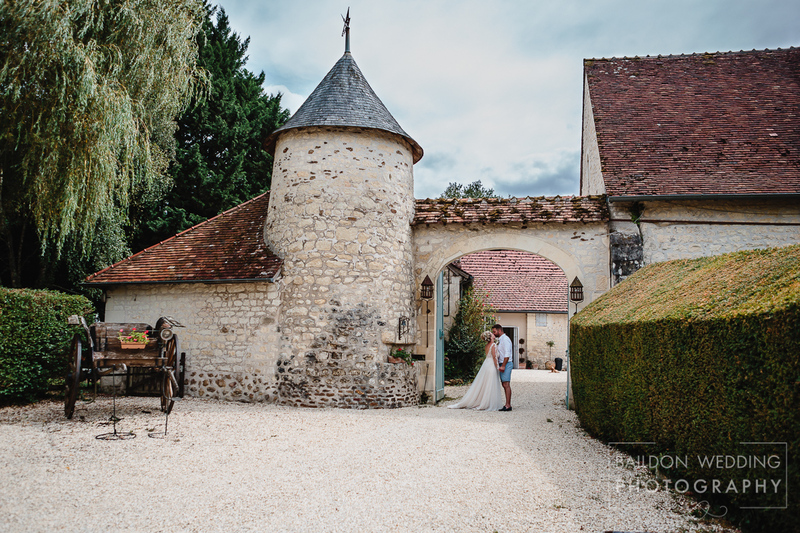 I did as much research as possible before flying to France and was so excited to be working at such a fantastic venue with a lovely bunch of people. 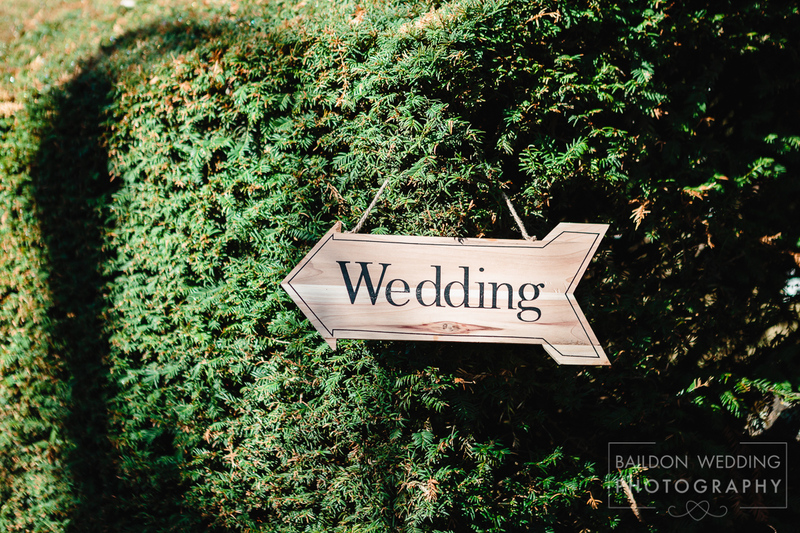 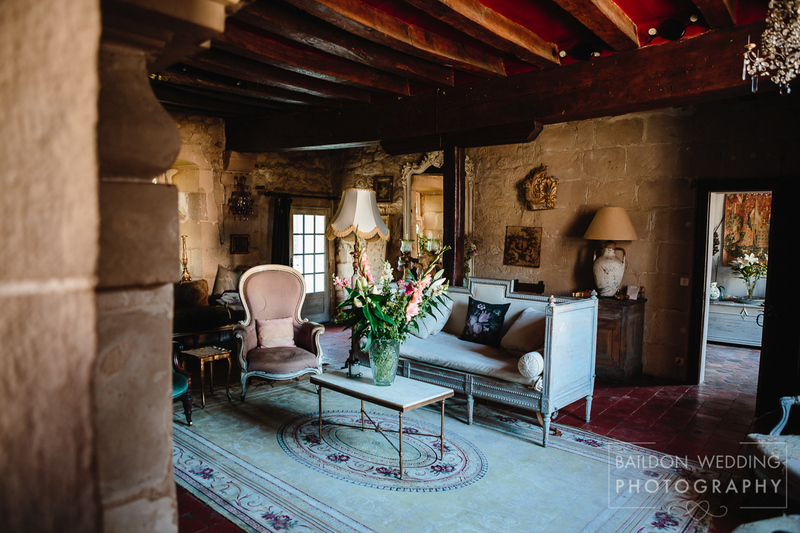 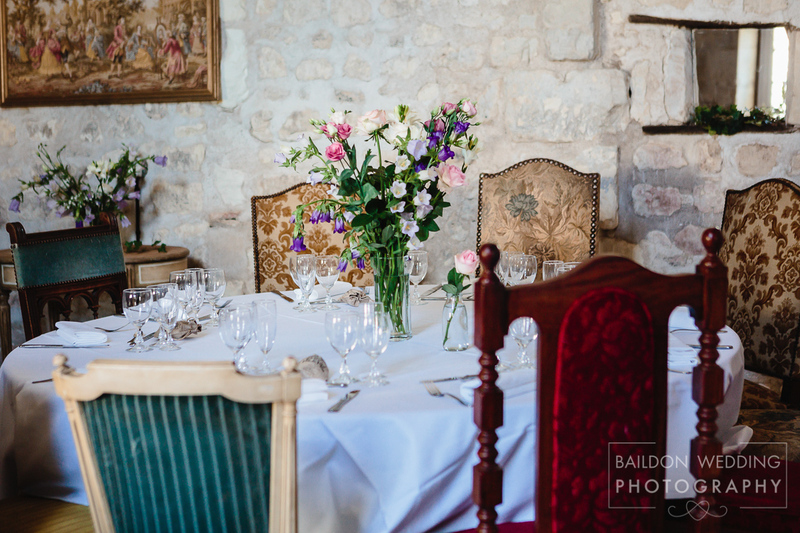 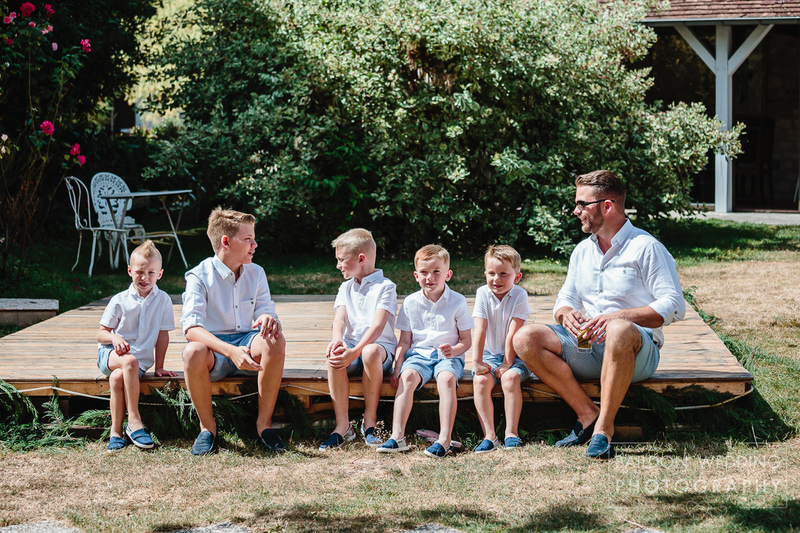 The Manoir is the passion project of Rosemary and her family, they have spent the last 8 years renovating the 15th century Manoir and furnishing it with antique French furniture and flowers. 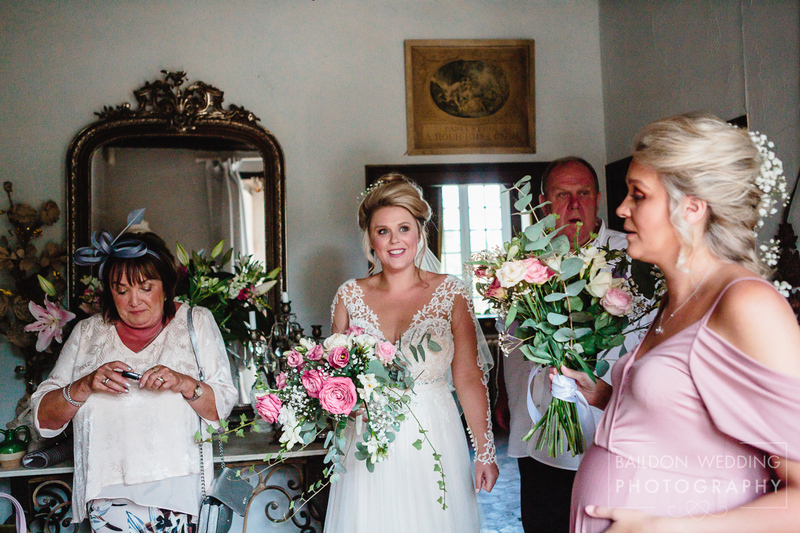 Rosemary clearly loves flowers and both the gardens and the rooms were filled with blooms and decorations for the wedding. 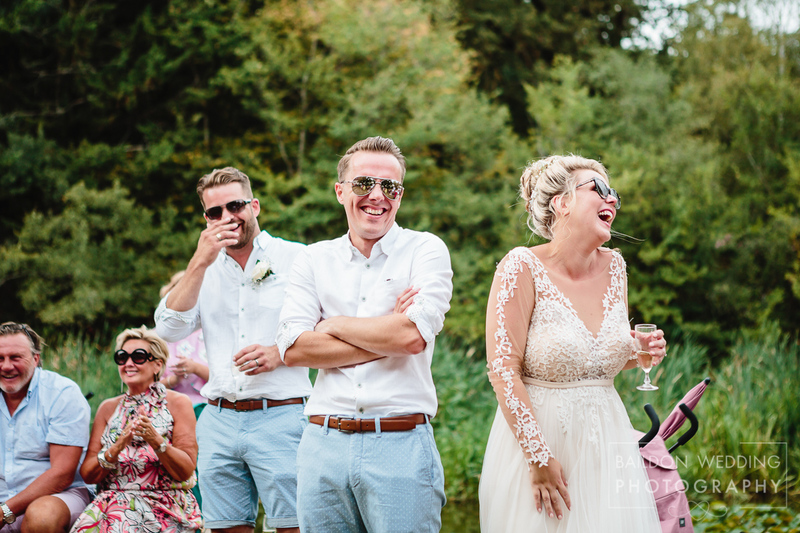 I joined the wedding party on Thursday evening for some informal shots before they had a prewedding meal. 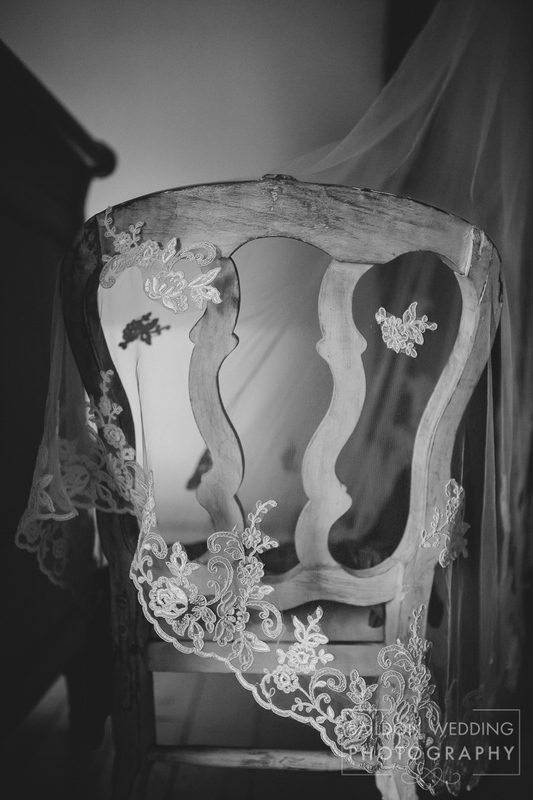 This gave me a chance to visit the venue before the big day. 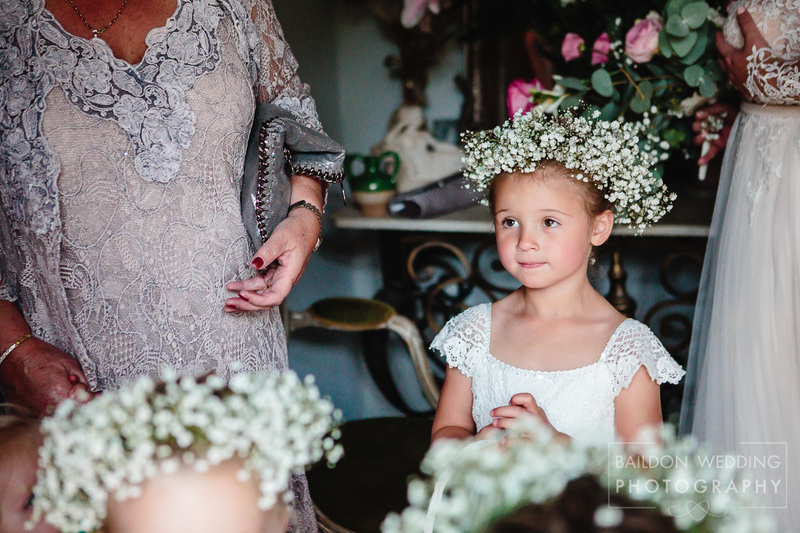 Fran, her Maid of Honour Lizzy and her pretty flower girls got ready in the romantic bridal suite. 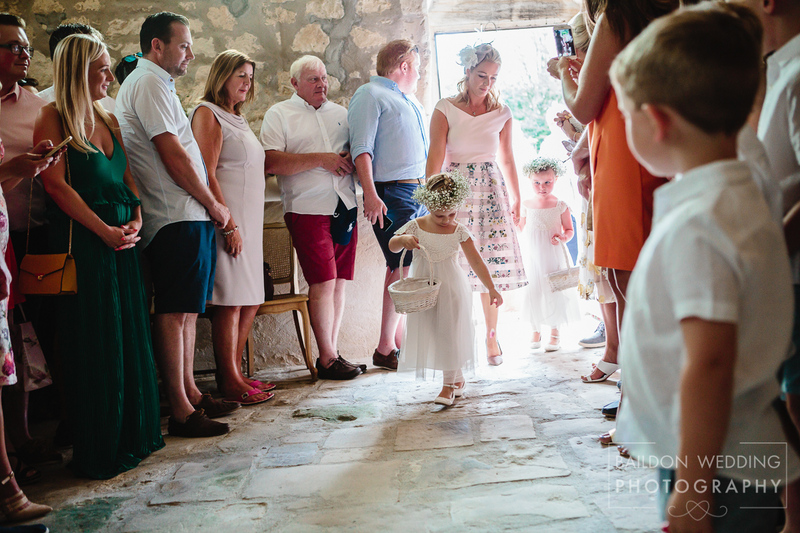 One of the talented guests was a hairstylist, and Rosemary provided flowers for the flower girls’ hair. 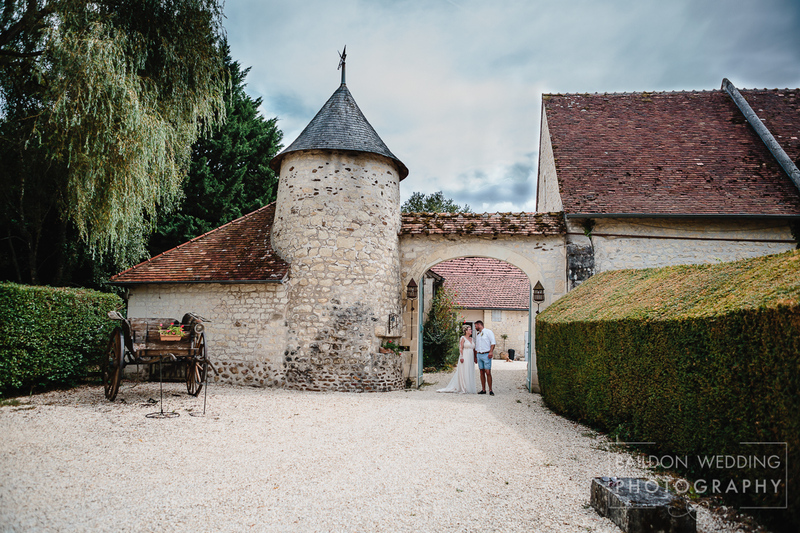 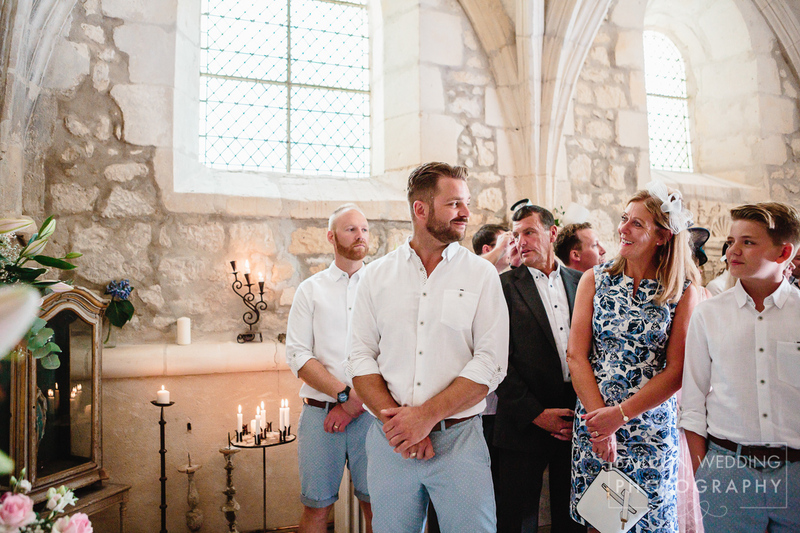 The bride and groom got married in the old Chapel, which upon the move to France from England, Rosemary had blessed. 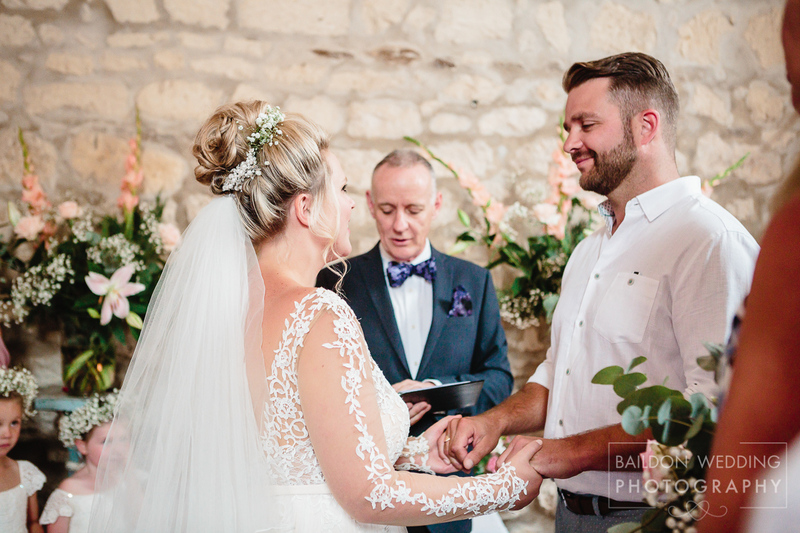 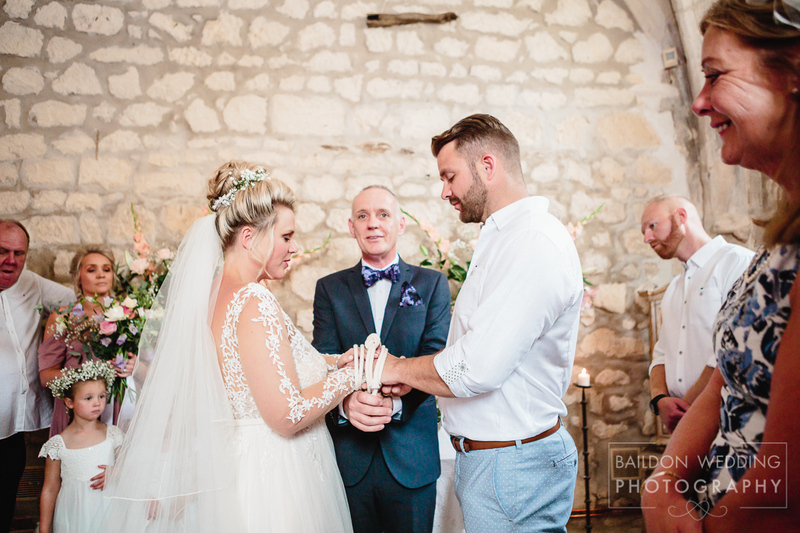 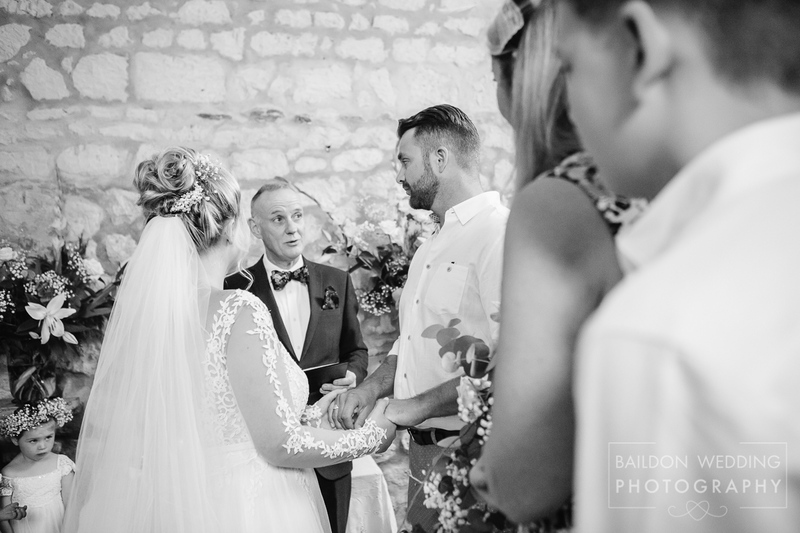 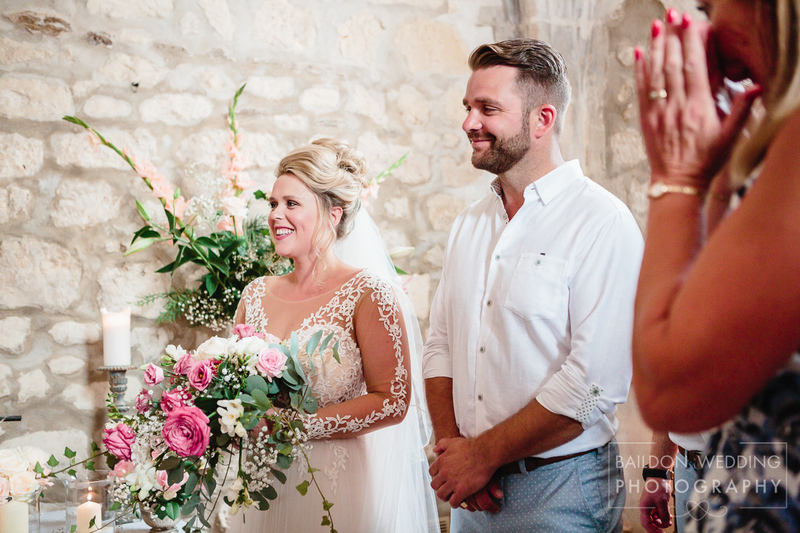 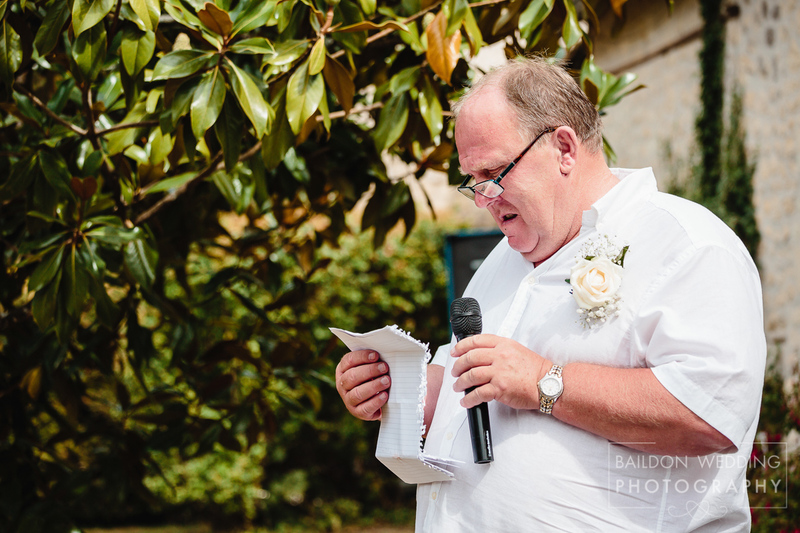 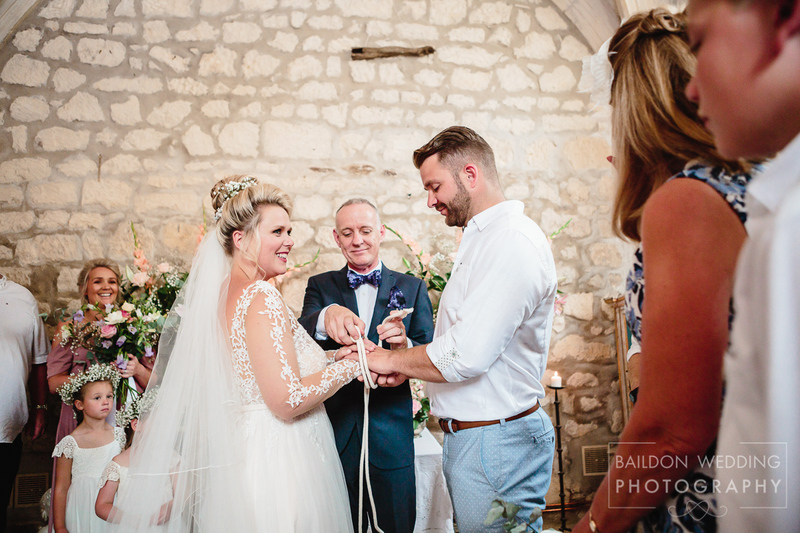 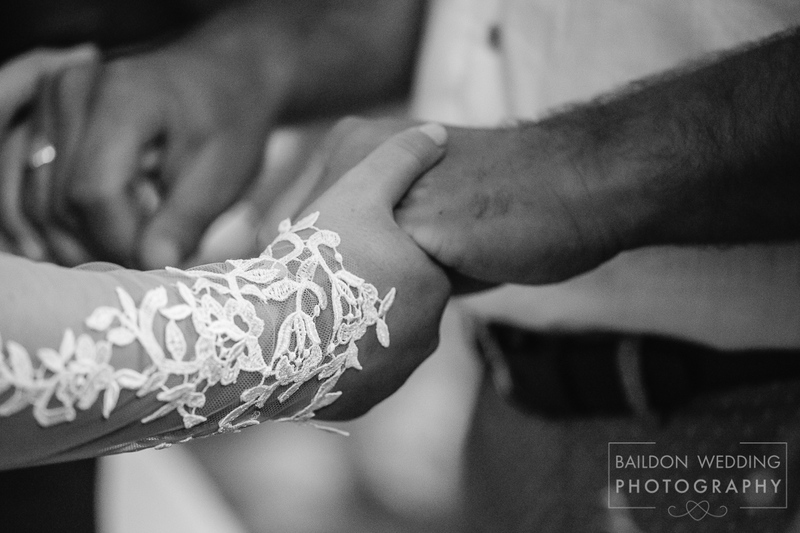 The ceremony was conducted by celebrant Piers Lane and involved a handfasting ceremony. 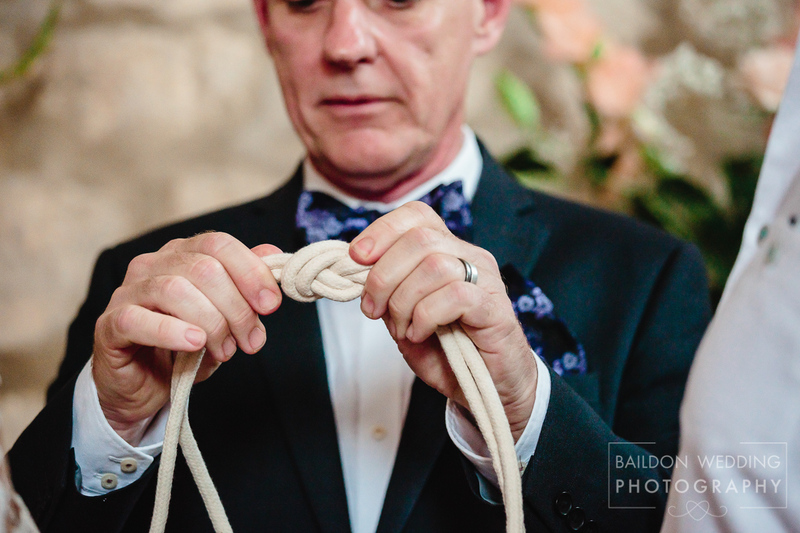 The ceremony was beautiful as they tied the knot. 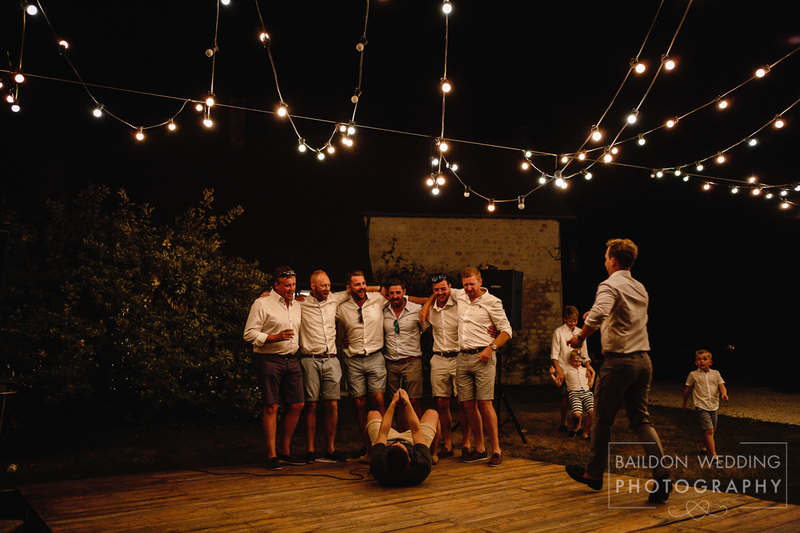 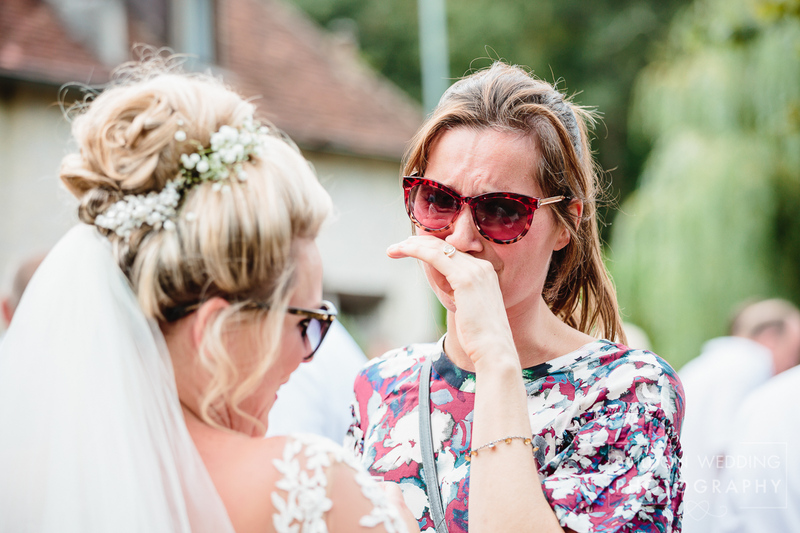 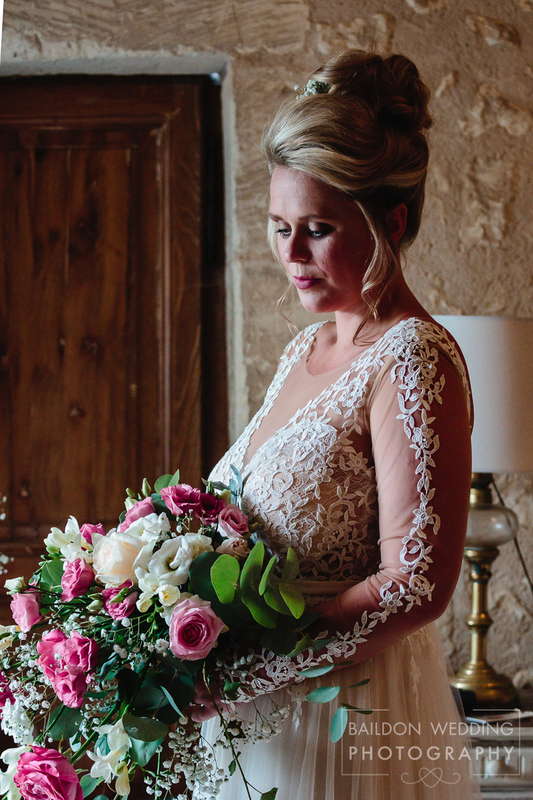 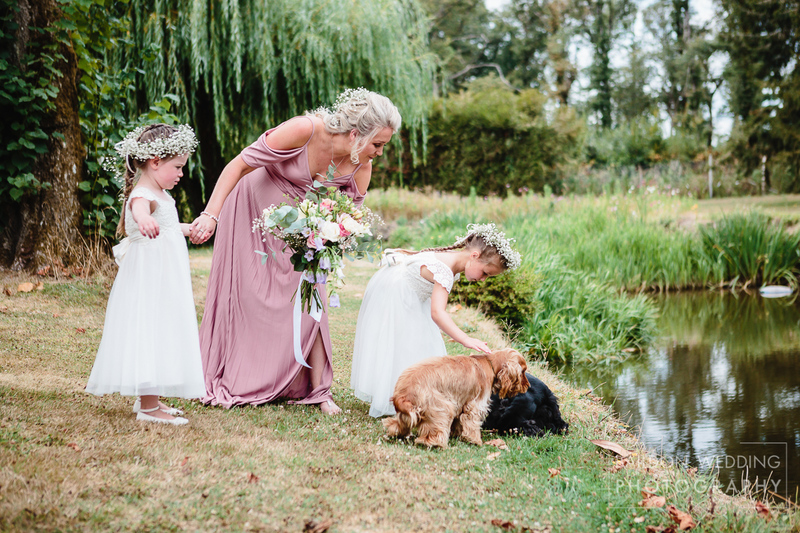 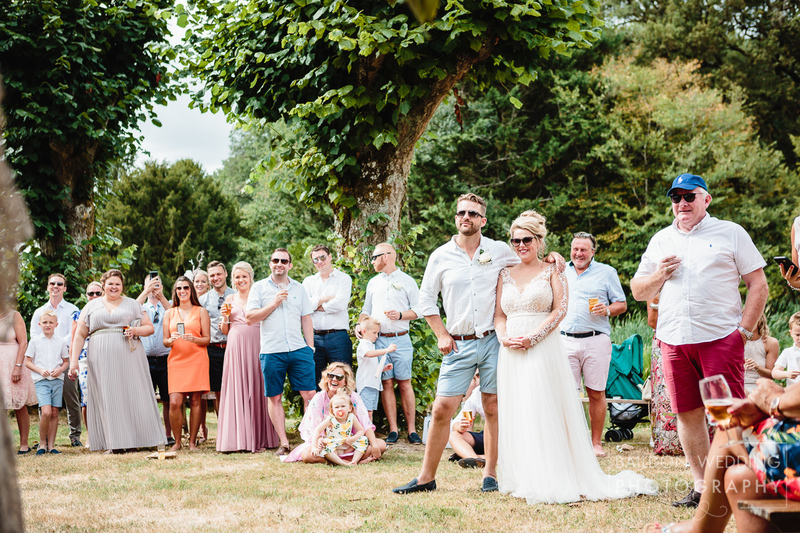 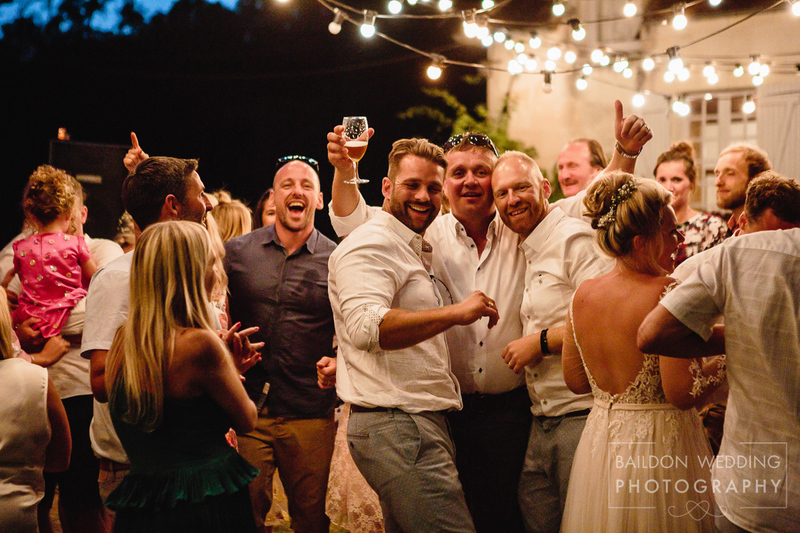 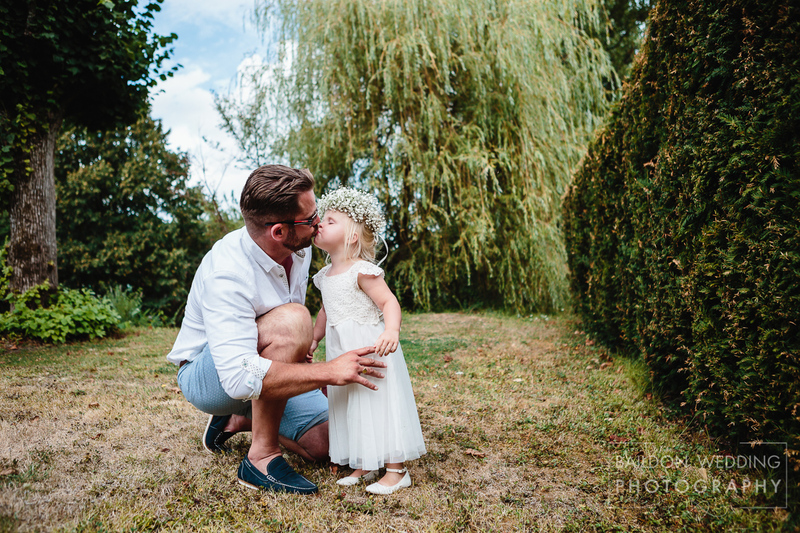 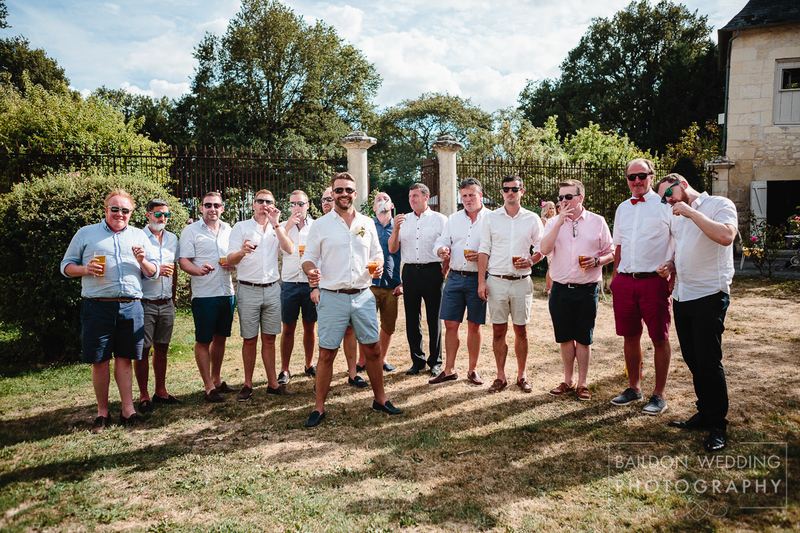 Francine and Marc had opted for an informal wedding with champagne, canapés and speeches by the lake and did away with much of the traditional formalities. 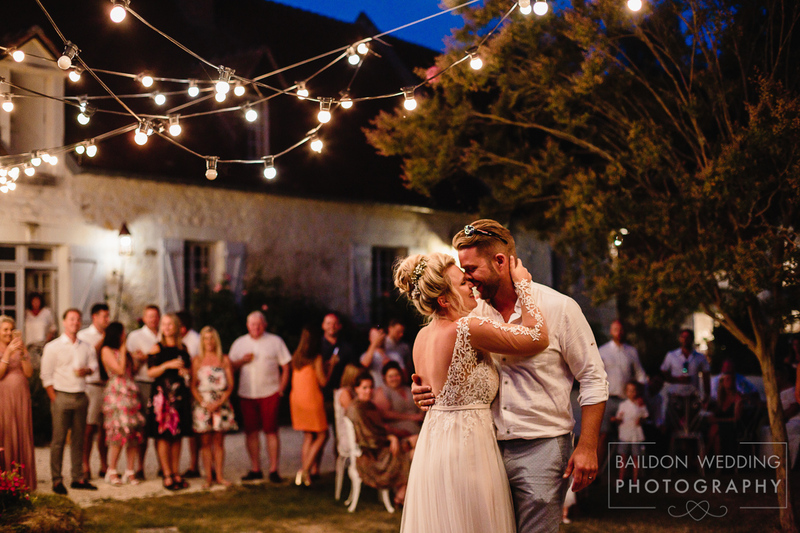 The wedding breakfast was a relaxed bbq with a selection of French desserts. 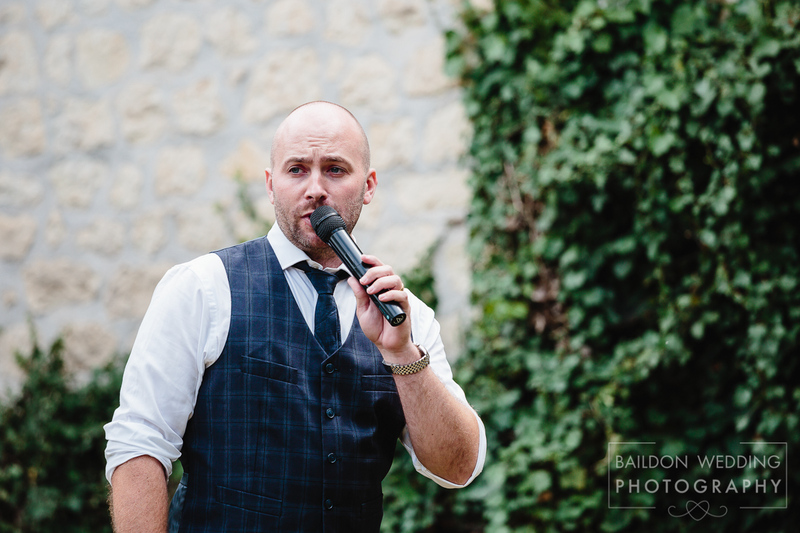 Throughout the day and into the evening, there was a selection of entertainment with two incredibly talented vocal acts Steve Craven and Nick Ingram. 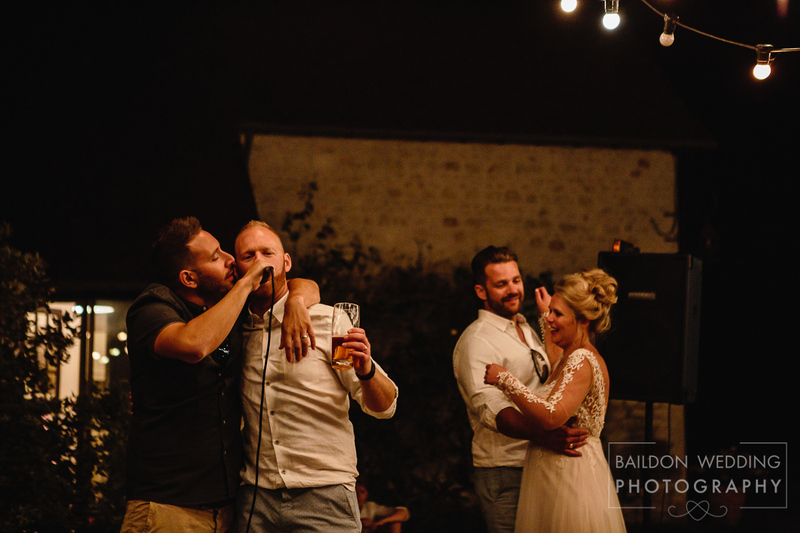 Nick performed an evening set as the festoon lighting turned on and the daylight faded. 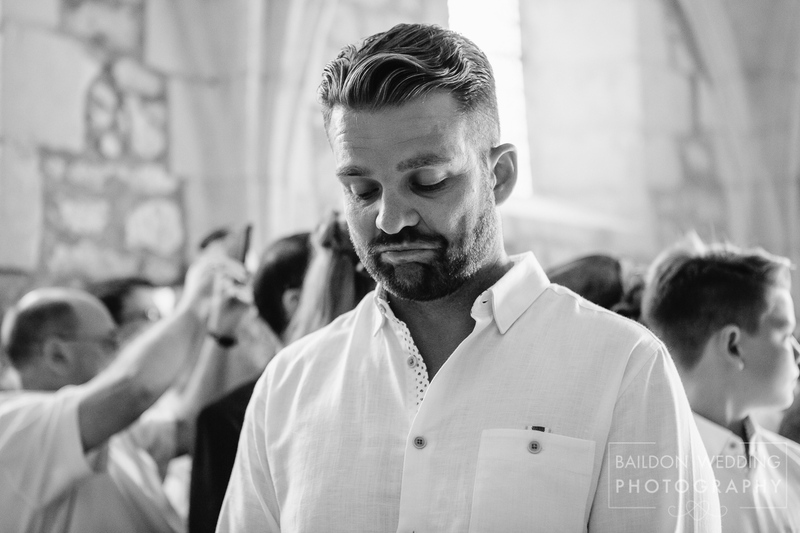 Best man Chris was soon involved. 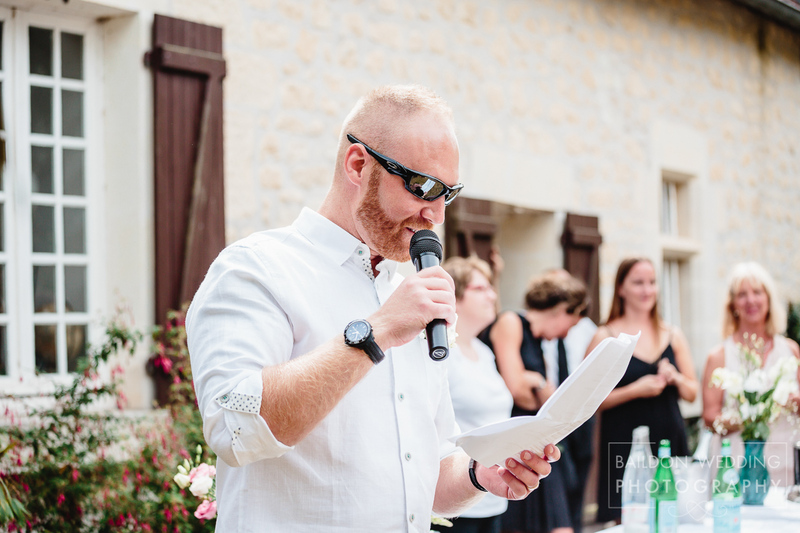 Chris’ earlier speech included a rap so we knew he wasn’t shy, eventually, the entire stag party were up on the outdoor dance floor. 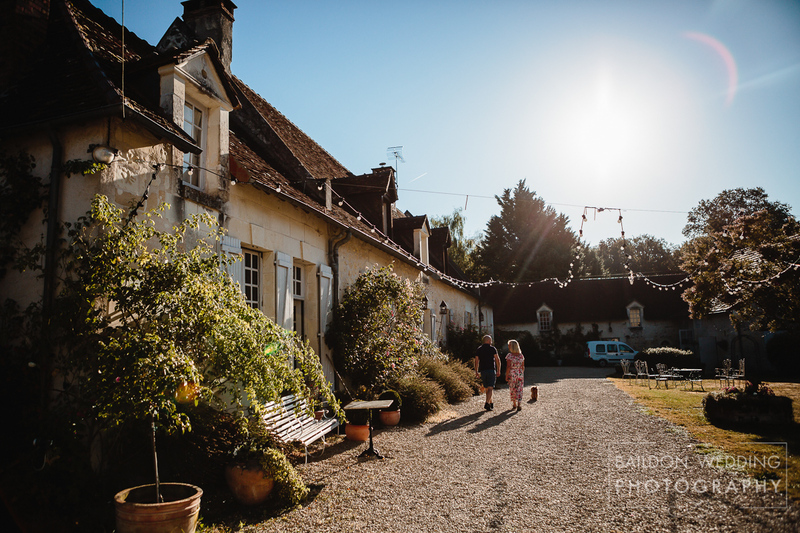 I was invited to rejoin the party the following day for an even more relaxed bbq in the grounds Manoir de la Foulquetiere. 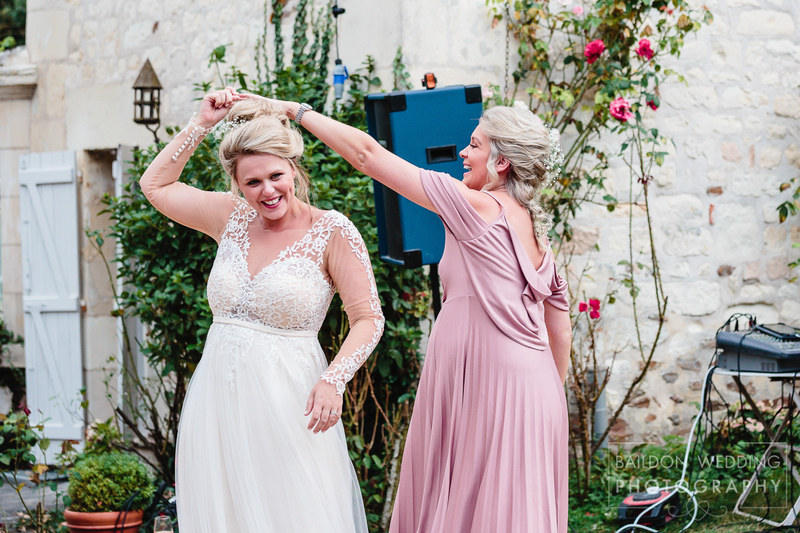 This included more entertainment with bride Francine and maid of honour Lizzie singing. 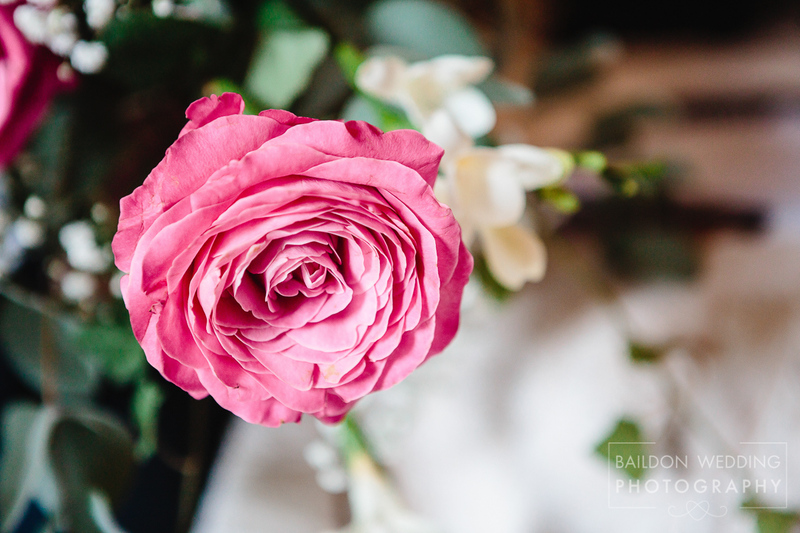 I stayed at a delightful B&B nearby called Pukeko Nest, owned by the charming and welcoming Guy and Veronique. 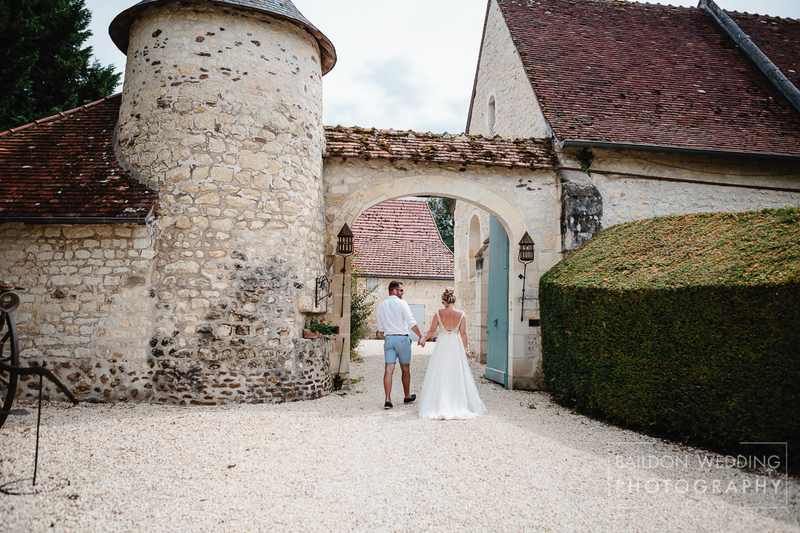 It was helpful they were fluent in English as my French is limited and local knowledge was beneficial. 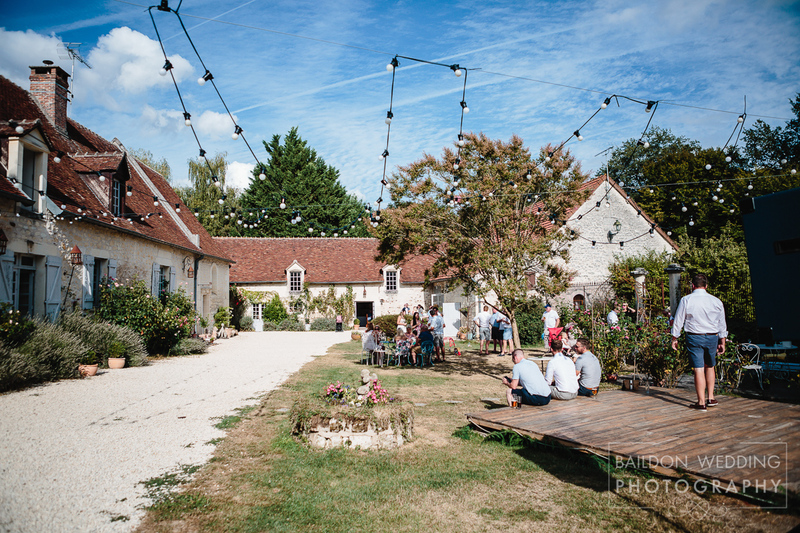 Whilst we are used to 24-hour supermarkets and petrol stations in the UK, it is very different in rural France! 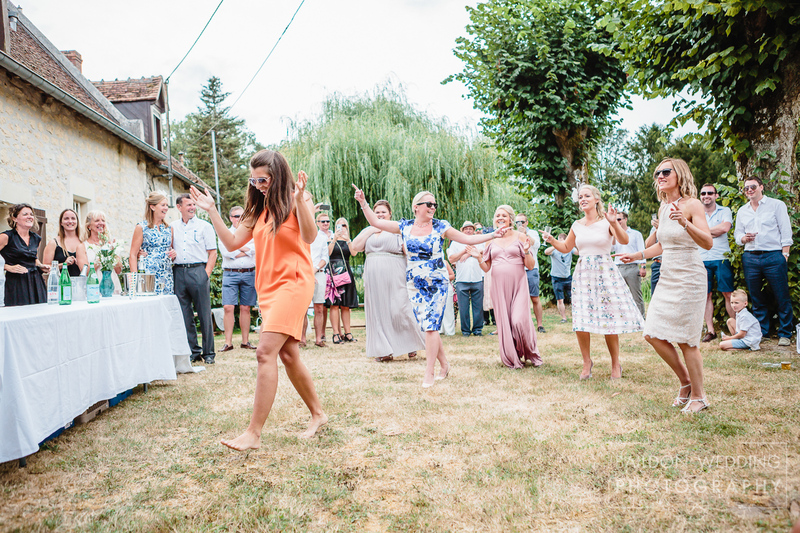 Pukeko Nest is in a great location for anyone attending a Manoir de la Foulquetiere wedding.